The very exciting EMITOM continued his unbeaten career by winning the 2m novice hurdle at Lingfield last Tuesday. He eased clear of his field by five lengths at finish even though he was carrying a double penalty and therefore top weight in the race. He was again piloted by Gavin Sheehan who held him up throughout to then take to the front two out and was left in isolation at the line. This youngster could be something very special. He has now won four races from four starts and is building up quite a reputation. His ability and will to win is everything you look for in a horse. With the festivals around the corner, we are very excited to see how he will fair with best of his age group. 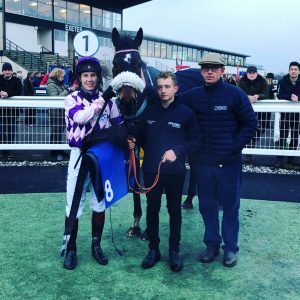 The Fitorfat colours are becoming very used to winners enclosures and this very lucky partnership have got themselves another nice horse in TOP ROCK TALULA. This speedy little mare came to us in October and it is great to get her into winning form. 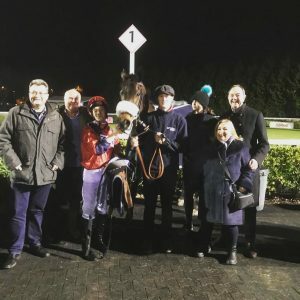 Ed Greatrex took the ride at Kempton last Tuesday securing us another double on the day over various meetings. Ed kept TOP ROCK TALULA up with the pace in the 1m4f contest until moving through the pack three furlongs out and then stayed in command to win by two and a quarter lengths. This gives us another winner on the flat and cements our strength in both spheres. It is great that we can interchange horses into all types of races. 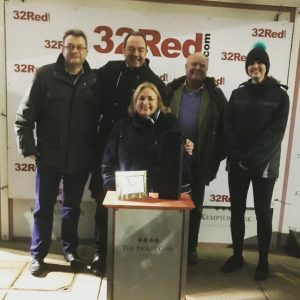 Then we had a fantastic weekend of racing for the yard. 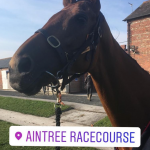 DICOSIMO started off our streak winning by coming out on top in 2m handicap chase at Haydock on Saturday. He was ridden by Daryl Jacob and stayed handy during the race. They then reached the front four out and pressed on well to the line. 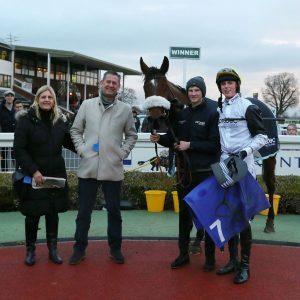 This big horse is built like a classic chaser and it is great that we have got him back into the winners enclosure. There is a lot more fun to have for our loyal owners, the Eynons. DICOSIMO is not the easiest of rides so a well done goes to Adam Elias who ride him every day. He has done a great job with him. The second of our streak was one of our youngsters. 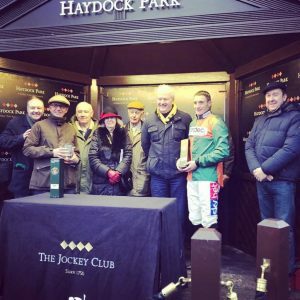 It was the turn of MISS HONEY RYDER who took the mares’ bumper at Taunton, again on Saturday. This tough mare was piloted by one of our conditionals Harry Teal who continued his good run of form for the yard. 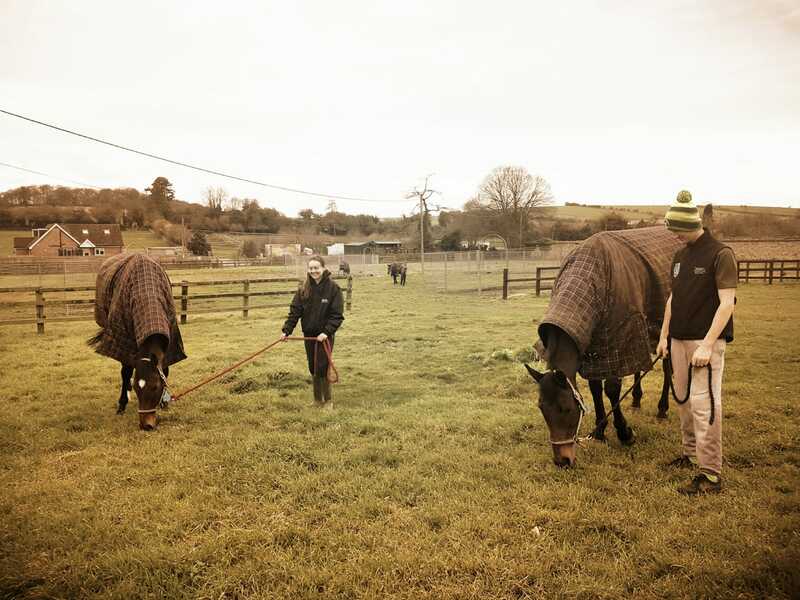 They stayed in touch and Harry then pushed her to the front in the final three furlongs. 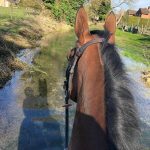 It is brilliant that The Albatross Club have got themselves another nice horse and hopefully she can produce as much fun for her owners as WESTERN RYDER has. Next was our ‘Super Sunday’, started off with the Waley-Cohen’s very talented mare, PRINTING DOLLARS. 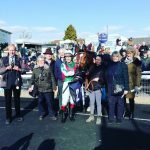 Richard Johnson had the mount instead of Sam Waley-Cohen due to illness. 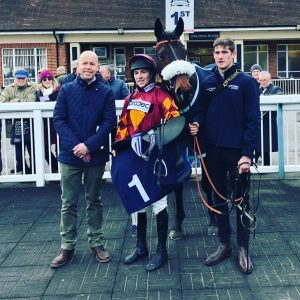 Sam was the jockey for her first bumper win so it is a shame he missed the opportunity on her again but we are sure the family are very pleased to see her get her head back in front. This classy mare was bought out of Ireland after winning a point-to-point and has been nothing but impressive for us since. She has won two and been second twice. 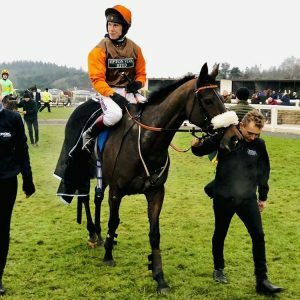 Yesterday she came out on top in the 3m mares’ maiden hurdle at Exeter. She made all of the running and stayed on very well to finish two and a quarter lengths ahead of the remainder. 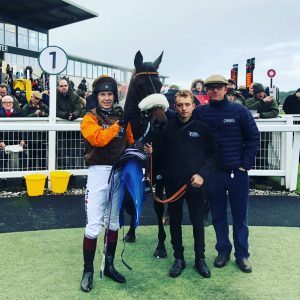 We look to have a strong bunch of mares this year and with allowances and a lot of racing options we are sure to get some more successes as the year goes on. The last of our four run winning streak and fourth double in two weeks was YOUNG LIEUTENANT. This big bold youngster looks to be chaser in the making with a good staying power. He was also mounted by Richard Johnson who raced prominently during the contest. They then kicked on in the final furlong to stay in command. It is great that we have youngsters coming through the ranks with bright futures. 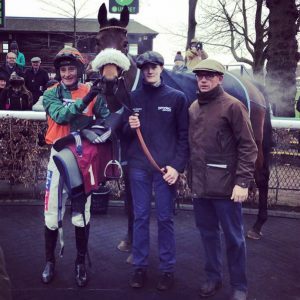 Over the past two weeks we have had winners in every sphere of horses racing; bumpers, hurdles, chases and even on the flat. To have four doubles in eight days is a fantastic run of form and huge effort from our brilliant staff. Hopefully we can keep the form going until the end of the season and have lots more fun over the coming months.